Maybe people buy them as odd Christmas gifts? 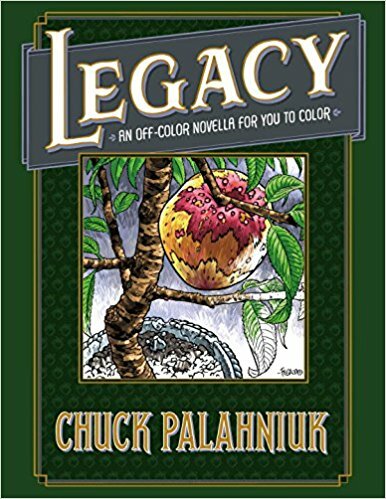 According to io9, Chuck Palahniuk is once again blending original fiction with coloring pages, releasing a book called Legacy: An Off-Color Novella for You to Color. Clearly, his short story anthology/coloring book hybrid Bait sold well. I still have trouble picturing the person who loves both coloring and Palahniuk's writing (imagine coloring scenes from Fight Club—your red crayon would get quite the workout), but there seems to be plenty of them out there.